Look who stopped in today! Fellow Ellora's Cave author and friend, Natalie Dae. We begin with an interview so you can get to know her, and end with a book blurb and cover. Please make her feel welcomed! Tory: What do you like most about writing? Natalie: Losing myself in another world, creating something that will touch someone somehow, working out my characters’ dilemmas and fixing them, and trying my best to create good imagery and description. Tory: Your first EC release, Soul Keeper, is about online romance. Do you believe happy endings can come out of such a relationship? Natalie: Yes. Soul Keeper is loosely based on a true story. I have several friends who have hooked up with partners this way and are still going strong years later. Marriage, kids, the whole package. When online we say things we wouldn’t normally, things we’d struggle with face to face. The relationship builds as we reveal our secrets and the other person doesn’t run for the hills in shock. Trust is also a big issue. You have to have a lot of it to know in your heart the other person isn’t running around online saying the same things to other people. I’ve seen firsthand the shocked faces when my friends have told others they met their husband online. It’s almost like people think online = pervert. It’s the same as real life—there are strange and good folks everywhere! Tory: How did your book, Magenta Starling come about? What inspired you to write it? Natalie: Someone mentioned writing about a nice demon. It intrigued me as to how a demon could be nice, when for me, thinking of demons brings horror or evil to mind. I decided to give it a go and Magenta Starling was born. Dion was cursed as a child, made a demon, but he didn’t act like one in the usual sense. He’s also a Beta male. I tend to write all my males as Betas. I like showing the softer side of a man. Tory: Do you listen to music when you write? Natalie: No, not if I can help it. If music is on, or the TV, I’ve learned to tune them out, but my preference is to write in silence. If I have distractions, I tend to get up and walk around the house more in between sentences, or find something else to do when the noise level doesn’t allow me to just sit and type or think about plot twists and where my story is heading. Tory: You write in other pen names. What prompted you to be Natalie Dae? Natalie: My other names are for specific genres. I did write as my real name for a number of years, all genres, and found I was producing too many different types of books, so I asked myself if my readers were wondering what the hell I would write next. So I created a name for my mainstream work and another for my m/m. Neither name allowed for m/f to creep in, so Natalie Dae came along. It’s certainly been interesting being a ‘new’ author again, starting from the ground up, and going through the sometimes painful process of promoting myself when at times I want to yell: It’s me! You know! The one who wrote that book! Tory: Do you have any other books coming out with EC? Natalie: Yes. I’m lucky in that I have two more contracted. His Beautiful Wench is a time-travel novel that is historical, paranormal, and contemporary. That was fun to write, switching from the past to the present. The heroine zips back in time to meet her true love, a man who I absolutely adored writing about. I also have Come Find Me, a contemporary novella about two co-workers who finally let each other know they have feelings for one another and discover that their sexual fantasies match. They have much fun exploring in the bedroom! My editor is also looking at a vampire novella and a shapeshifter novel. At the moment I’m writing a horror erotica novel, as yet untitled, and will be starting another Quickie very soon. I also have plans for a free read. Tory: How do you find the time to write? Natalie: I’m very lucky that I’m able to write full-time. A good job, really, as keeping all my names writing something needs all the time I can get! Morgan longs for a relationship and release from her solitary life aboard her yacht, The Magenta Starling. She longs for Dion—who’s not all that he appears. When he reveals his feelings for her, Morgan allows Dion to take her to his world, the realm of Thradmos. 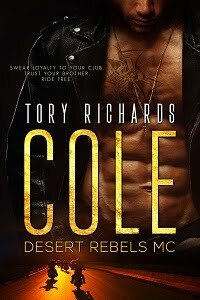 Her love for him growing even as she struggles to accept his reality, Morgan realizes she would do anything for him—including give up her life in the real world. At a party held in celebration of Dion’s impending freedom, Morgan is snatched away by Jistin. In a final battle, Dion will fight not only for his freedom, but also that of his beloved, lest he be cursed for all eternity…and lose Morgan in the process. Thank you for interviewing Natalie. I enjoyed reading it and she is a new to me author. Nice interview. I wouldn't worry too much about no one knowing you under the new Natalie Dae persona. Your books are so incredibly good that this pen name is going to take off like wildfire. Enjoyed yourinterview, Natalie! And I loved that you like to show the softer side of your heroes! Hello Debby, thanks for reading! C.Z (or I might start calling you CeeZee 'cause it sounds so cool lol), glad you enjoyed! And thanks for hosting me here, Tory love! Great interview! I really enjoyed getting to know more about you, Natalie. I'm a big fan of beta heroes too, thanks for writing them. I love your work. But then, you know that right? ;) Wonderful writer, wonderful interview. Wonderful interview. I've read both stories and loved them. Nice to know there are more in the works. Can't wait to read more from Natalie Dae! Well helloooo, Juniper! Thanks for dropping by! Hiya Lex! Yeah, I knew that *grin*. Thank you! Thanks, Debbie. I plan to keep you supplied! Verrry nice interview. As Tess said, writing will win out over the new name. Great interview, Natalie! Looking forward to Come Find Me. It sounds fun. Hey Anny! Lovely to see you here *wink*. Hiya Darah! It was fun to write! Love the interview and now I know why we're friends...much in common here! Have to say, I just love your work. Simply sparkles and such fluid reading that everything you do is hard to put down. Debbie...Terrific interview with Natalie Dae. Since she's a new-to-me author her name doesn't matter but find the content of her stories intriguing and look forward to reading one of her books when I have a chance. Love the book cover. The book sounds really good.